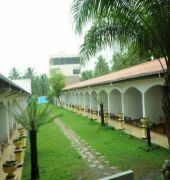 Hotel Honors Club is located on the west coast of the island in the city of Negombo, just a few steps from the Indian Ocean and approximately 42 km from Colombo. 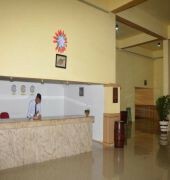 Accommodations feature a balcony, tiled flooring and wooden furniture. 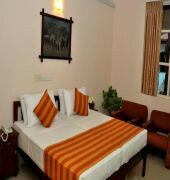 Each room is also equipped with air-conditioning, TV, hairdryer and en suite bathroom with hot water. 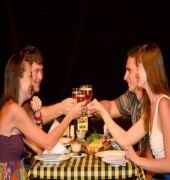 The sea view restaurant onsite serves local and international dishes featuring seafood specialties. In addition, guests can enjoy lunch or light fare with a wide selection of cocktails and other beverages at the poolside bar. 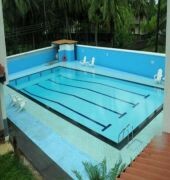 Other facilities and services include an outdoor pool, pool table, banquet hall, auditorium and a WiFi zone. Wellness therapies and massage treatments as well as bicycle rental, tours and airport transfers can be arranged on request. The Dutch Fort, Negombo Lagoon, St.Mary's Church, Fish Market and the Angurukaramulla Temple are some of the attractions in the area. Bandaranaike International Airport is about 17 km from the property.